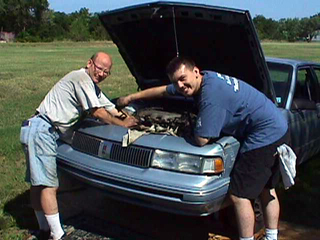 The various car care clinics through CAR CARE CLINIC (CCC) seek to help meet the needs of Tulsa's poor by providing free labor for car repair to those people referred by social services organizations like Welfare, Department of Human Services, John 3:16, Salvation Army, Churches, etc. Labor is free and the clients pay for the parts. Affiliated with Cornerstone Assistance Network, The car care clinics seek to be part of a total care package for families and individuals in the Tulsa area. An agency would meet the physical, medical, housing needs and The clinics and Phoenix Assistance would be an extension of these agencies to meet the automotive needs. Ask for single parents office.